With the explosion of artisanal spirits in California and all over the U.S., as well documented by my colleagues here at the L.A. Times, one would think we’d be drowning in organic bourbon, GMO-free this and heritage that. But … no. Getting a snort of organic corn liquor is actually impossible, and drinking without supporting genetically modified maize (to be organic, it has to be GMO-free) proves to be a very, very limited affair. An investigation by Grist, written by the delightfully named food editor Twilight Greenaway, finds that only the brands Wild Turkey and Four Roses are actually GMO-free. Well, at least there are two. Neither brand is certified organic, but you can be happy you’re not drinking organic corn off the face of the Earth. About 85 percent of the corn grown in the U.S. is now genetically modified, and this has forced some distillers to cave. Jack Daniels (note: not a bourbon) had committed to using non-GMO corn until lately, when it became too hard to source their corn. Four Roses escapes this quandary because its former owner, Seagrams, grew its own grains and those sources are still available. Wild Turkey? It’s GMO-free because it’s so cool. No, wait. Actually it’s because its distillers are prudent. Grist explains that they don’t want to put the bourbon on oak for 15 years and then find out there’s a problem with the GMO corn and have to dump it. Smart. These are people who are assuming what very few other food giants do: We don’t know what GMOs do to the body yet. They create their own insecticides and make plants impervious to massive doses of herbicides. Who knows what else that genetic structure does over time? The distillers figure it’s a risky business decision to use them. And you know how you pour whiskey on stuff and it’s supposed to just kill everything, sterilizing it? Well, if your whiskey maker is saying he’s concerned about GMOs, what are we supposed to think about the other, decidedly less-robust stuff we eat all day? Published: Friday, January 20, 2012 at 2:15 p.m.
Last Modified: Friday, January 20, 2012 at 2:15 p.m. The Petaluma Seed Bank bustled on Monday night as more than 20 people munched on organic ice cream and cookies and talked about what they saw as the dangers of genetically modified food. 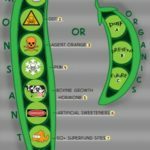 The reason for the meeting: A 2012 ballot initiative that would require labeling of genetically modified organisms, or GMOs, when they are sold in grocery stores. Concern over GMOs — food whose DNA has been altered by humans — has increased in recent years. Many say that the dangers of such food haven’t been adequately tested, while consumers continue to unknowingly buy products containing GMOs. In 2005, GMOs became a heated issue on the county ballot, when opponents proposed a measure that would have imposed a 10-year ban on growing or selling genetically-altered crops within the county. Farm, ranch and grape grower organizations fought back, arguing that the ban would unfairly impact local agriculture, and the measure failed. Now, a statewide group has sprung up to tackle the issue once again, but with a different strategy. The California Committee for the Right to Know is hoping to gather the 800,000 signatures necessary to place an initiative on the state ballot. “We feel people have the right to know what they’re feeding their families,” said Karen Hudson, who is co-coordinating signature gathering for Sonoma County. The Sonoma County Farm Bureau, which opposed the 2005 measure, couldn’t be reached for comment on the new initiative Wednesday. On Tuesday, January 24 at 1:30 PM, Monsanto officers and shareholders will vote on a shareholder proposal to create a study of “material financial risks or operational impacts” associated with its chemical products and genetically modified organisms (GMOs). The proposal represents one of the strongest signals to date that the biotech food conglomerate is facing growing consumer, legal, and regulatory uncertainties. As of today, however Monsanto has told John Harrington that they will not recognize his proxy who would speak on behalf of the resolution for only three minutes under normal circumstances. The meeting itself is only open to shareholders but concerned citizens will be demonstrating outside the northeast entrance to Monsanto’s Lindberg campus beginning at 12:00 noon. Monsanto Headquarters is located at 800 North Lindberg Boulevard in St. Louis, MO. Adam Eidinger, an organic food activist who recently led a walk from NY to Washington DC on behalf of honest food labeling, will present the shareholder resolution on behalf of Napa, California based Harrington Investments (HII) with help from the Pesticide Action Network of North America (PANNA). Eidinger will be available for interview before and after the shareholder meeting, which he will drive a “Label GMO” art car to attend. Representatives from HII and PANNA will be also available for interview before and after the shareholder meeting. Eidinger’s written testimony is available by request.